Heating and cooling can use a lot of energy. Buying an air conditioner with a high Energy Star rating will save you money and keep your home comfortable. The installation discount will depend on the size of the air conditioner. Not all air conditioning units are eligible. Confirm with your Air Conditioning Incentives (ACI) approved Daikin Specialist Dealer if the unit you need qualifies for the discount prior to installing. 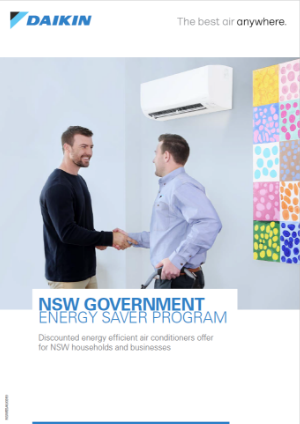 How do NSW households and small businesses get this offer? 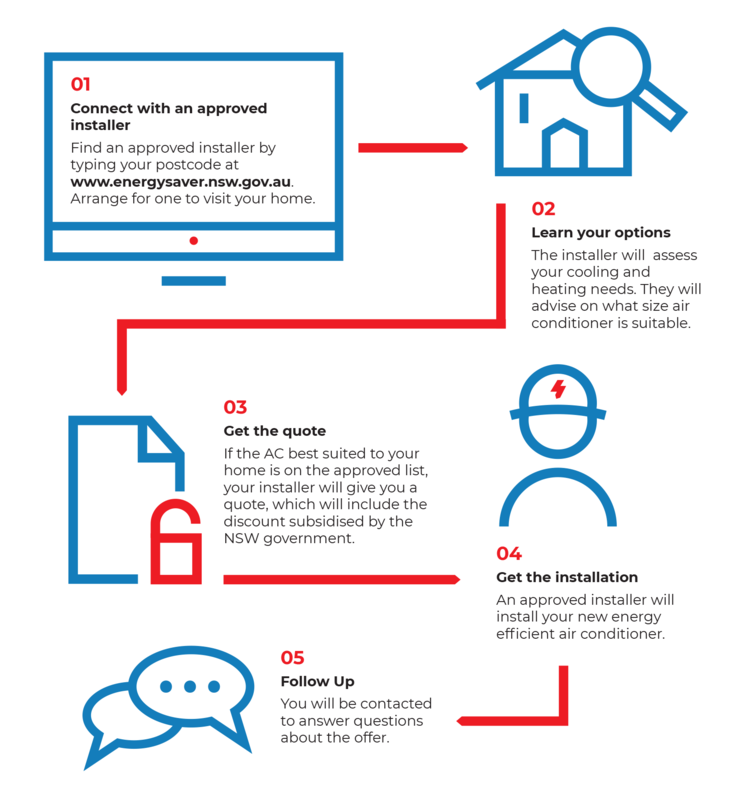 Households and small businesses can only claim this offer through an installer approved by Air Conditioning Incentives (ACl). The ACl partners with the NSW Government to deliver this offer. Am I eligible to receive this offer?